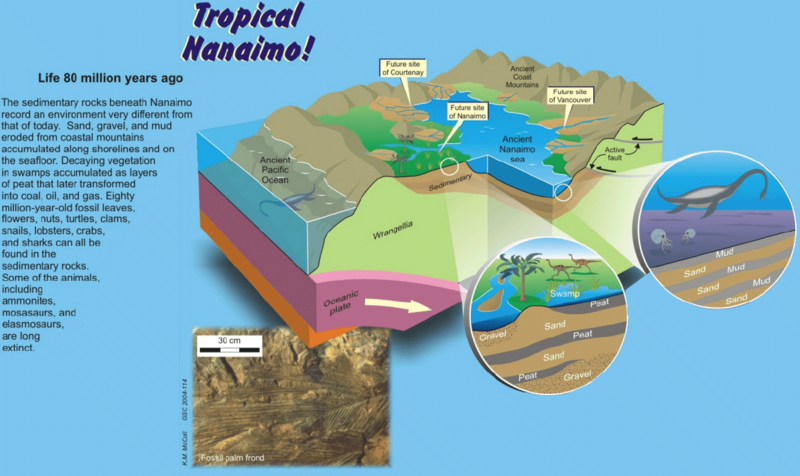 Rapidly growing coastal communities cluster along the shores of the Strait of Georgia in southwestern British Columbia. 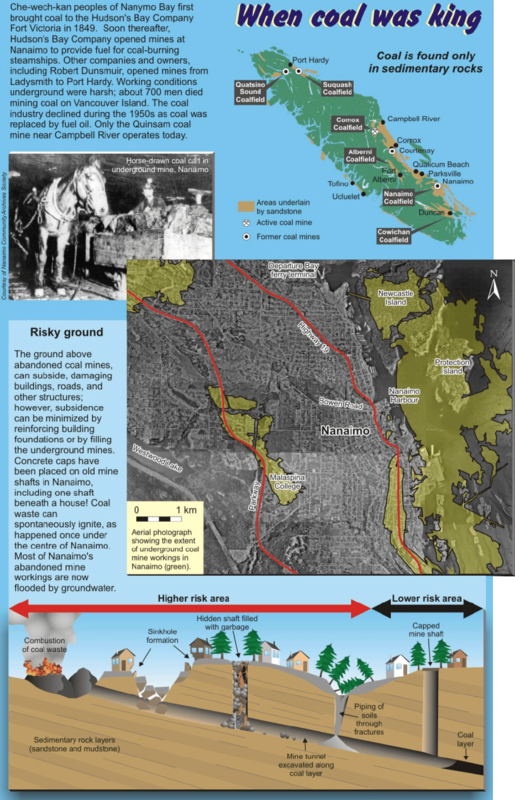 People have occupied this region for 10,000 years, sustained by an equable climate and abundant resources. 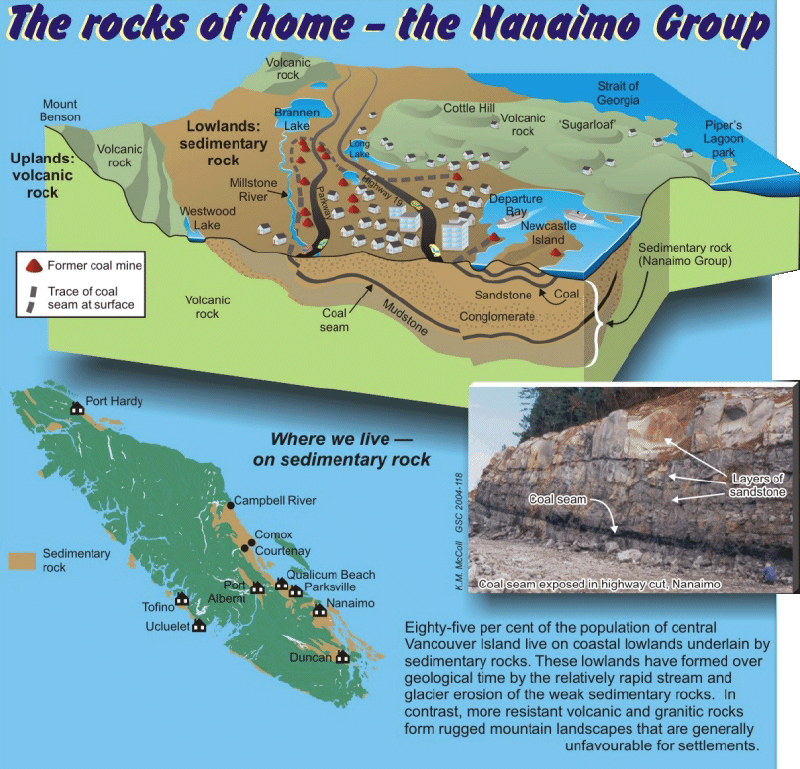 The south coast teems with life, but it is also geologically restless. 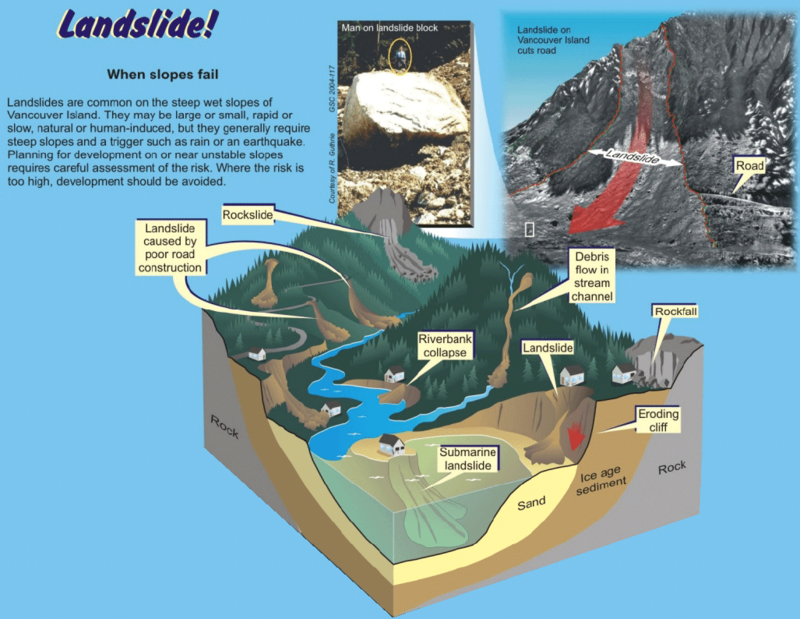 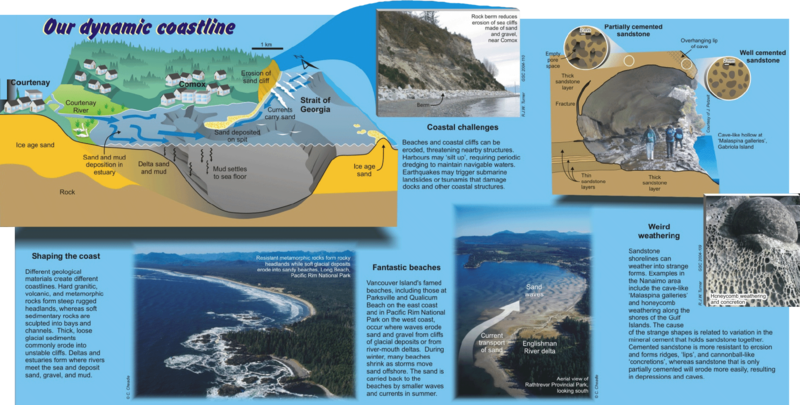 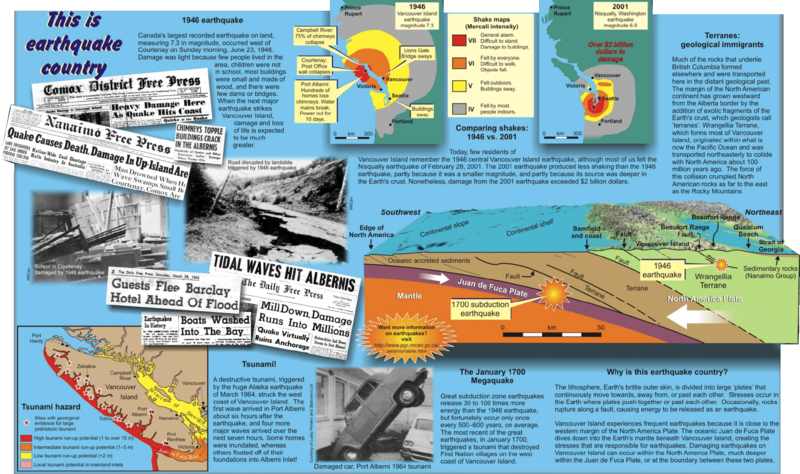 Shorelines retreat, rivers flood, hillsides collapse, and large earthquakes rattle the region. 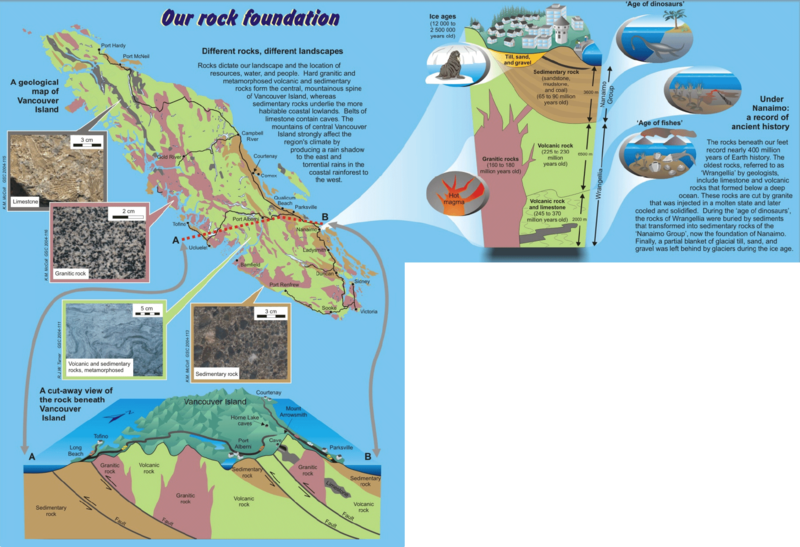 As inhabitants of this land, we need to be aware of our geological landscape (geoscape) to appreciate the land and use it in a wise and sustained manner. 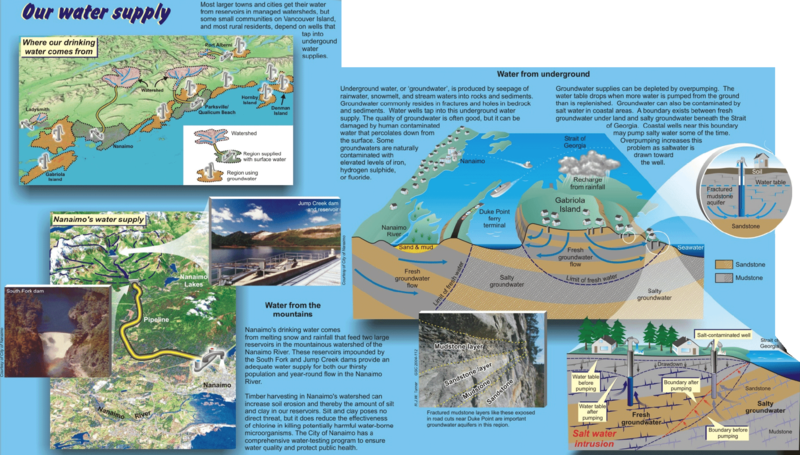 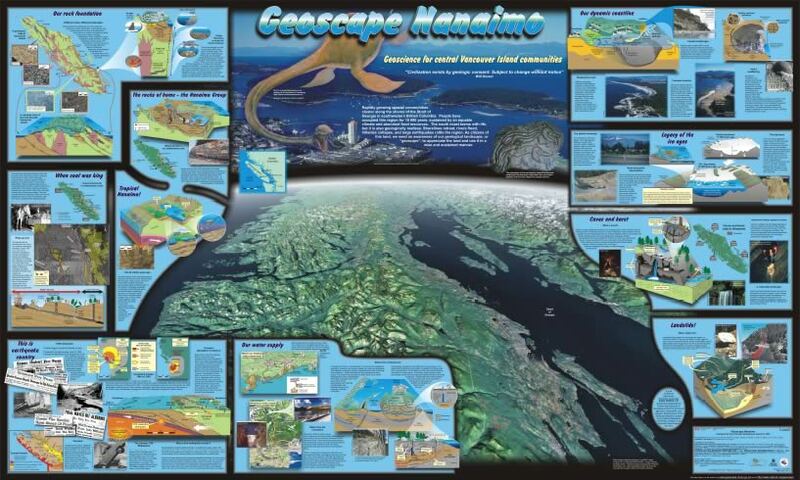 Follow the links below, or move your mouse over the Geoscape Nanaimo poster (click to expand each topic) to find out some more amazing information about this area.